The Jersey Force AAU Program will be holding tryouts for their Spring 2017 season. The dates and details are listed on the flirt above. 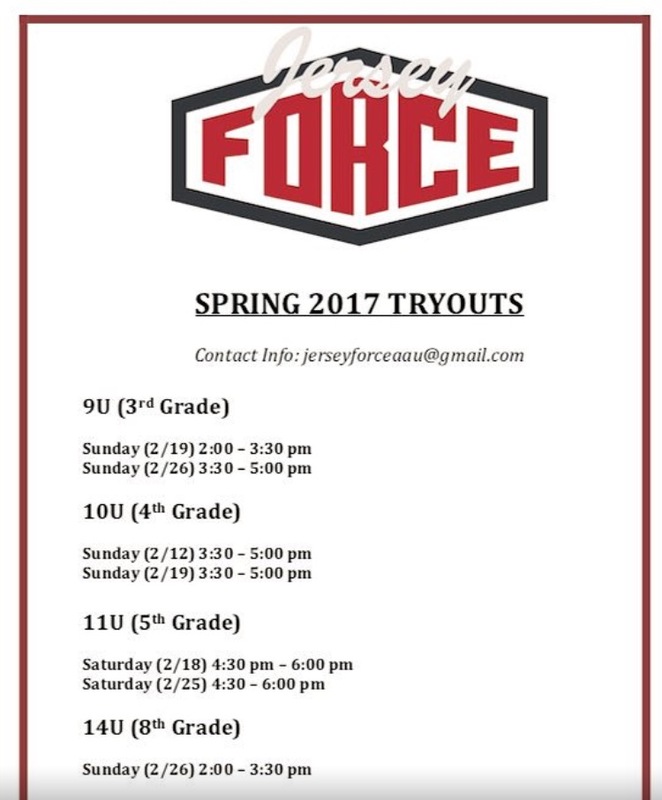 Contact Jerseyforceaau@gmail.com for questions.